For those considering a career switch, wish to discover hidden talents, or want to re-orientate on the job market. 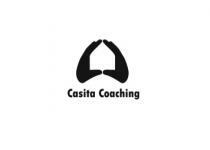 Helping people with various cultural backgrounds to harness and flourish their natural talents. That is what Janet Rodenburg believes in and stands for. 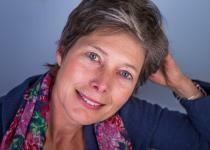 She is a career & life coach, native Dutch, with ample international working and living experience. Anthropologist by training, her driving forces are curiosity and an open mind. Janet credits her identity and work to the culturally rich life she has led. Born and raised in a rural part of the Netherlands, Janet chose to study anthropology at a university in Amsterdam, which brought her to enrich her theoretical knowledge with fieldwork throughout Asia for several years. Upon returning to Europe, she extended her already broadened cultural awareness by living a decade in Denmark with her family, where she assisted humanitarian organisations to train local volunteers to provide psycho-social assistance in times of crisis. After returning to the Netherlands, she has continued working to help improve the lives of migrants and refugees. Her diverse and intense work experience crossing cultures have allowed her to identify closely with individuals who emigrate to new worlds without developing a fulfilling sense of belonging and has made it her mission to help those people find their sense of purpose and belonging. For more information about Janet, please visit her website.